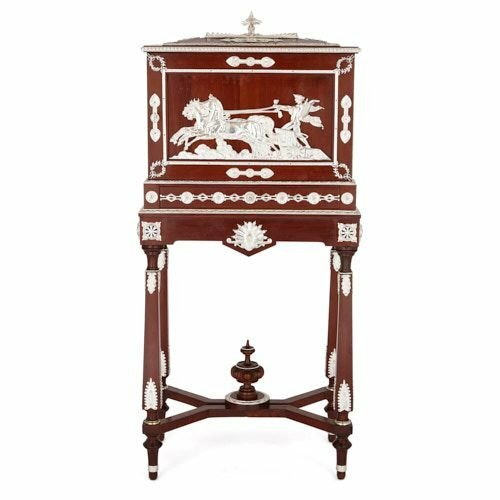 Charles-Guillaume Diehl, one of the leading cabinetmakers of 19th Century Paris, is responsible for the design of this beautiful humidor (tobacco) cabinet. Called a humidor cabinet, this is a humidity-controlled box, which was originally designed to store cigars, cigarettes, or pipe tobacco. This cabinet has been crafted from oak, and decorated with silvered metal mounts. The cabinet stands on four square tapering legs, set on elongated toupie feet. 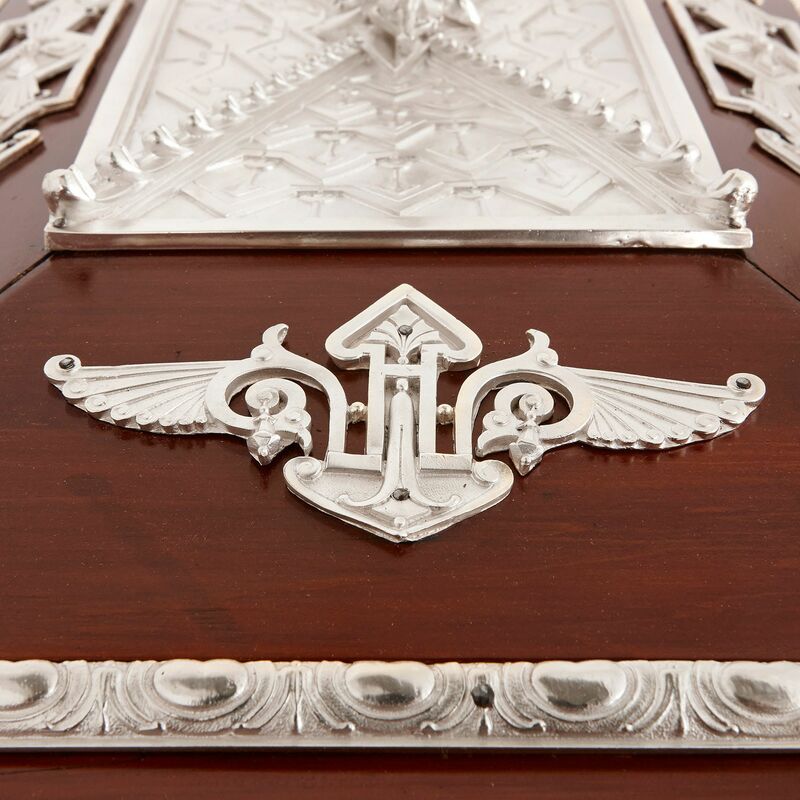 The legs are decorated with foliate mounts, and joined by a shaped stretcher, topped by an urn. The four legs support the cabinet body, the lower section of which features a shaped apron, decorated with an anthemion mount. 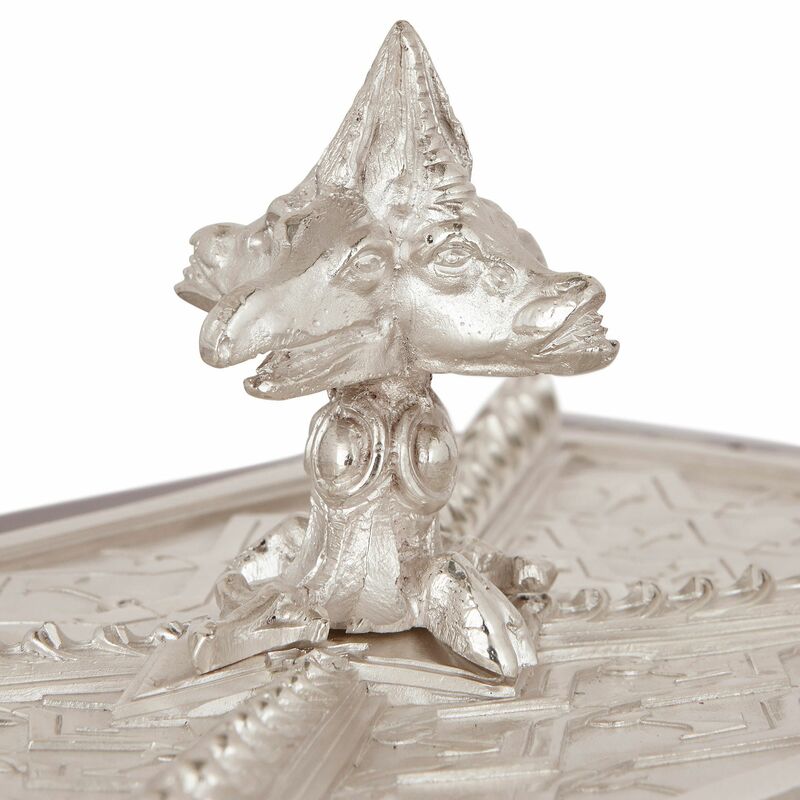 The corners of the lower body are mounted with pierced medallions. One tier up, there is a frieze drawer, decorated with a pattern of alternating patera (bowls) and diapers. The upper body of the cabinet features a door, which is mounted with a depiction of Apollo (the classical god of the sun) driving his chariot across the sky. The scene is set within a border, ornamented with stylised anthemions and laurel wreaths. The door opens to reveal four pull-out drawers with caned bases, ideal for storing tobacco. 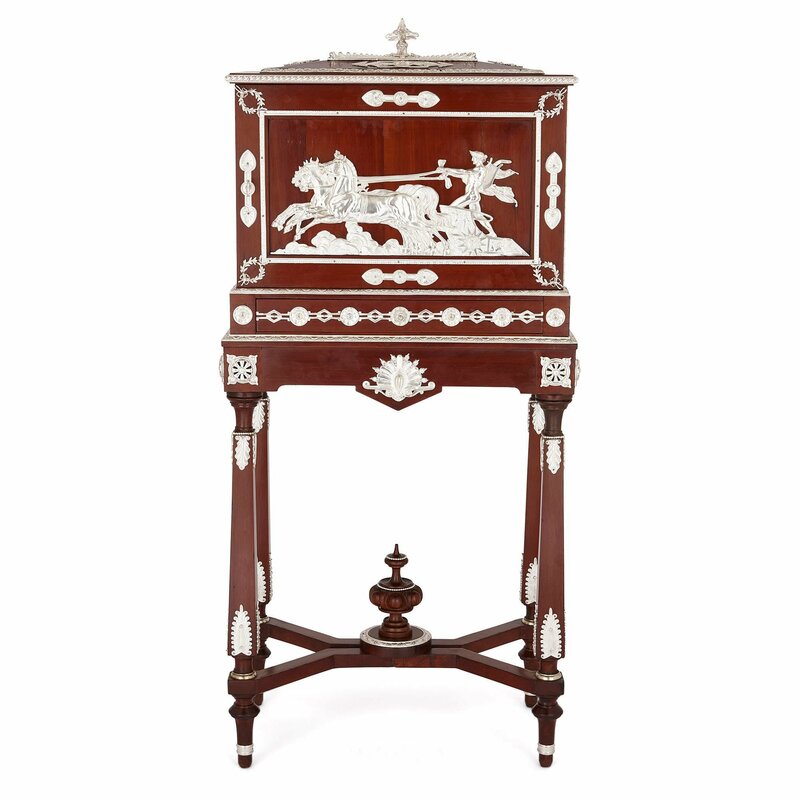 Stylised, winged arrow mounts and a four-sided horse head finial top the cabinet lid. 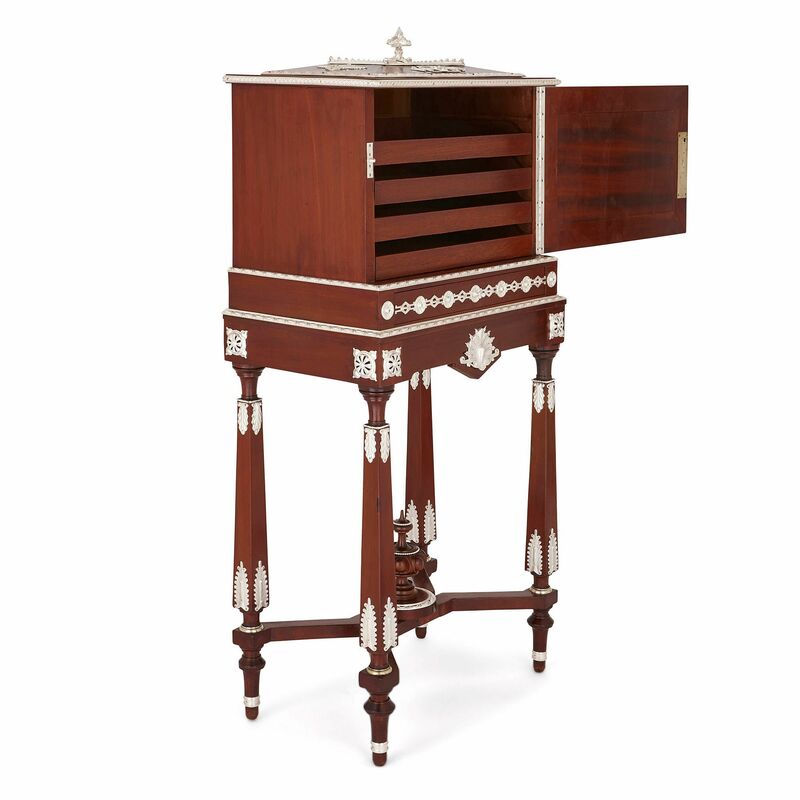 Charles-Guillaume Diehl, the famous 19th Century Paris-based cabinetmaker, designed and crafted this piece. Diehl was an exceptionally talented craftsman who won multiple awards at the International Exhibitions of the period. His work was highly sought after by an elite international clientele, and today his designs are held in major collections across the world, including the Musee d’Orsay in Paris, the Rijksmuseum in Amsterdam, and the Metropolitan Museum of Art in New York. 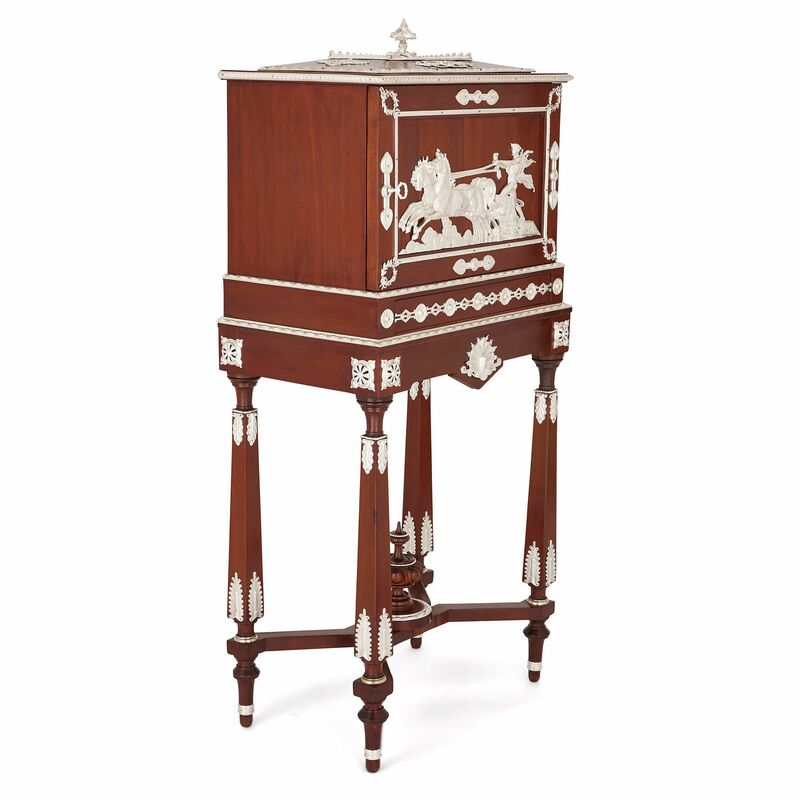 This piece forms part of a group of cabinets which Diehl created in the late 19th Century. 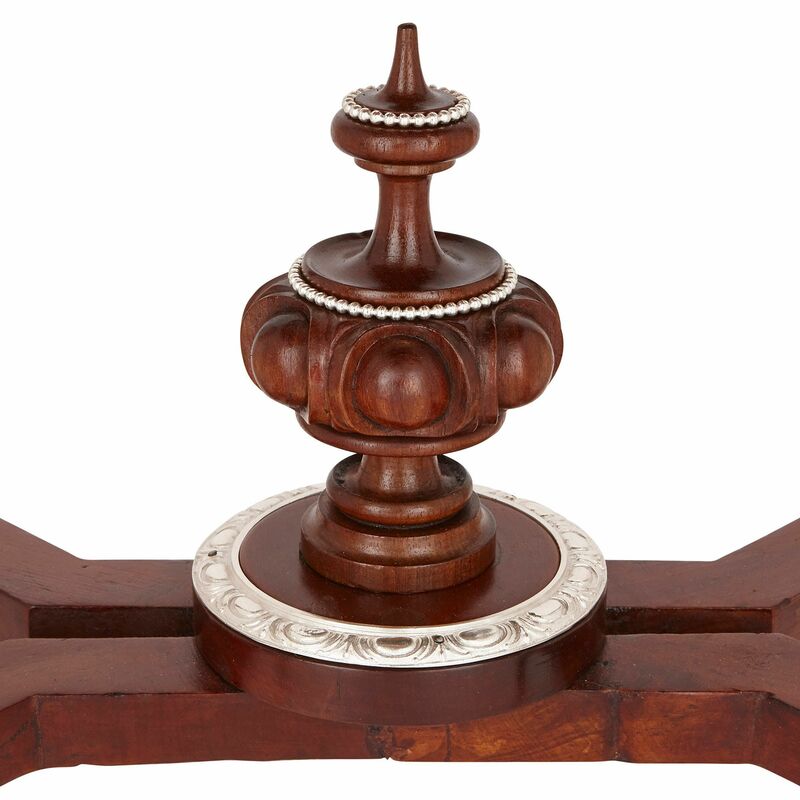 These are of similar design, but with minor differences, such as the type of wood employed or style of mounts.